Broccoli cheese soup is one of my all-time favorites. If you have never tried it, you simply must. Also, if you have never made your own homemade version of this tasty soup, I have the perfect recipe for you. 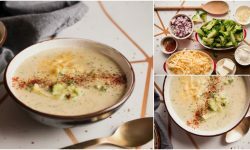 This tasty broccoli and cheese soup is so easy to make and it’s perfect for warming you up on cool evenings. And, it only takes half an hour to prepare. Is Broccoli Cheese Soup Good For You? 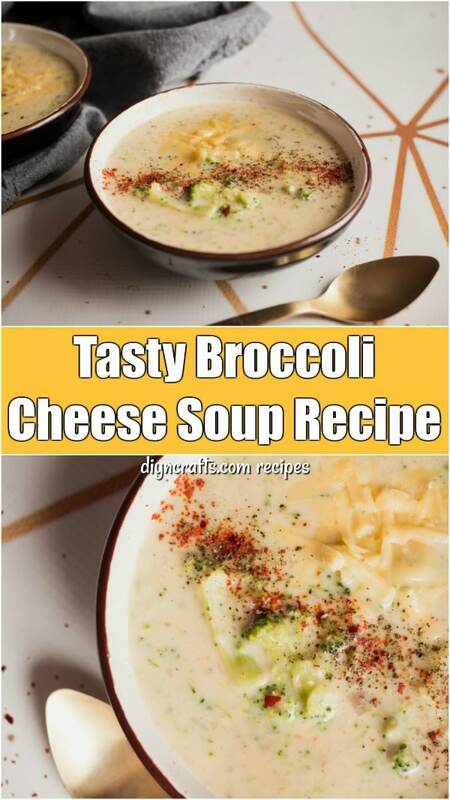 How Many Calories Are In A Bowl Of Broccoli And Cheese Soup? How Do You Thicken Soup? 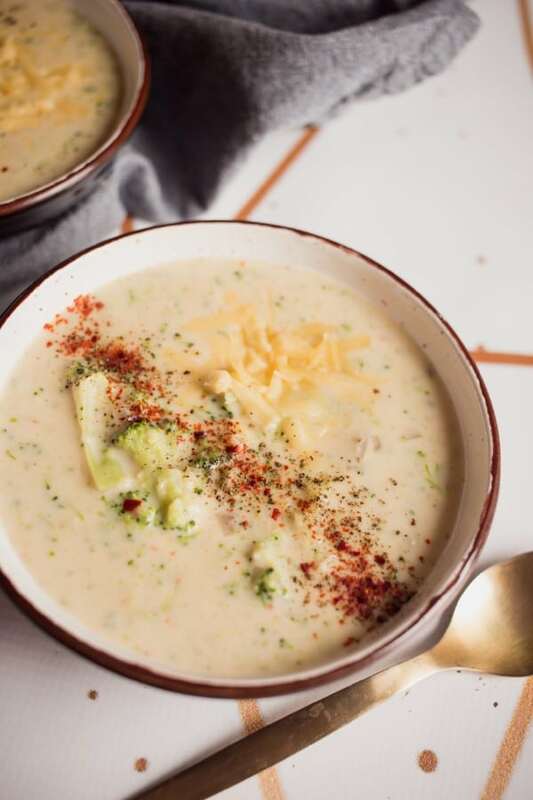 This broccoli cheese soup is definitely good for you! 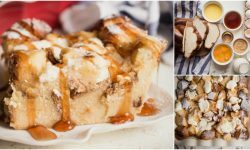 If you follow the recipe precisely you’ll get 386 calories per bowl. But the number of calories in your soup will depend on whether or not you follow the recipe exactly. If you want to count your own calories, just add up all of the ingredients. 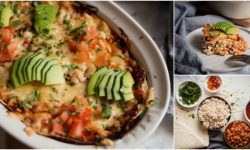 If you substitute low carb flour or use fat-free cheese, then you will obviously need to account for those ingredients instead of the originals. If you want to lower your calories even further, skip the crackers and serve this with homemade zucchini tortillas, instead. Broccoli and cheese soup should be somewhat thick, which is where the flour comes in. 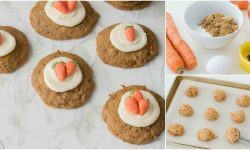 If you are following a low carb diet, you can substitute almond or nut flour for the regular flour to lower the carbs in this recipe. 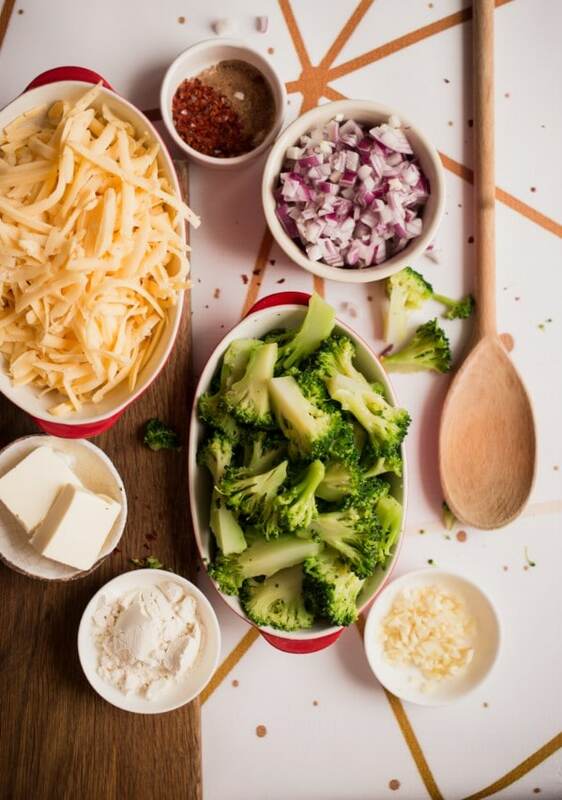 Or, skip the flour altogether – Use a food processor to puree broccoli florets and some of the liquid to add a great thickener without the flour. 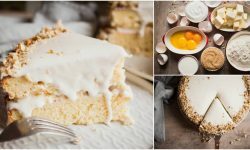 First, let me say that this recipe is absolutely delicious. 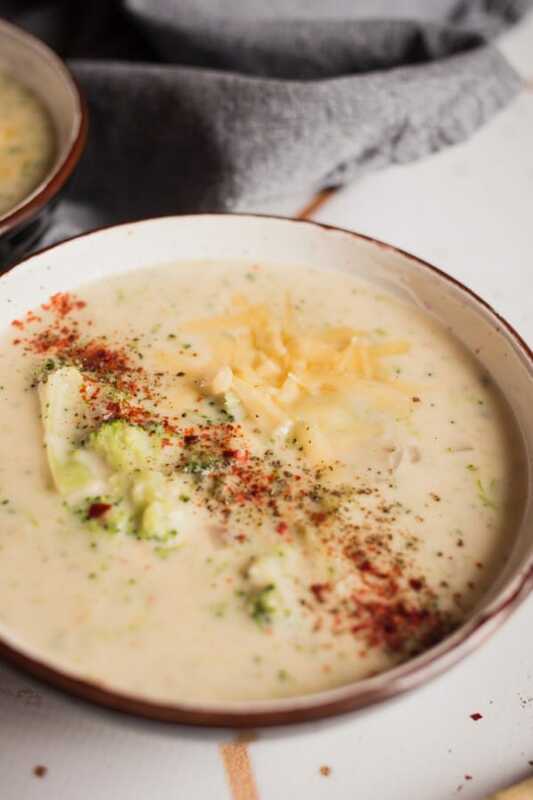 My entire family loved this homemade broccoli and cheese soup. Now, if you want to save some of this for later, you can certainly freeze it. I froze about half of the recipe in small freezer bags. They are perfect for a quick lunch. Just empty the bag into a bowl and pop it in the microwave for a couple of minutes or until good and hot. This soup freezes really well, and you can store it in the freezer for up to 6 months. It’s a great make-ahead freezer meal. 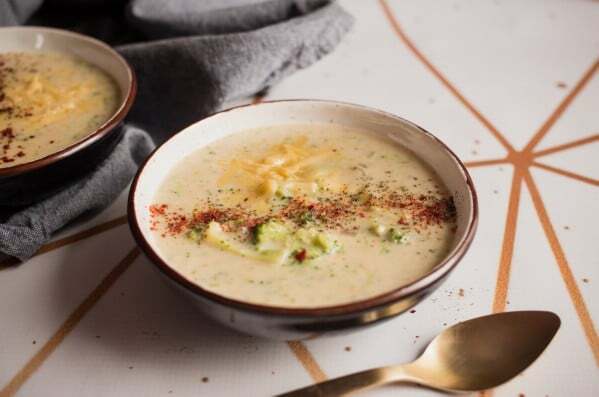 A fast and easy broccoli cheese soup recipe to warm your soul on cool nights. This soup is filled with healthy broccoli and takes only half an hour to prepare. Start by making roux: melt butter, add flour to it and stir. Fry for around 1 minute. Sauté onions until translucent (2-3 minutes), add garlic and spices. Combine onions with flour and start pouring milk in by small portions, while whisking constantly. When all the milk is incorporated, pour in chicken broth. Place over medium heat and cook for 5-7 minutes without boiling liquids, preventing milk from separation. Add cheese in small portions, waiting for each batch to melt before adding next one. Lastly, add cooked broccoli florets. You can leave them whole or use blender to pure some or all of the florets to make them smaller and to help thicken your soup. 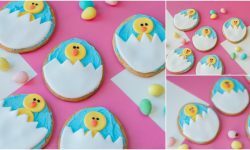 re the flour to thicken – can I use cornstarch instead? We have a GF concern in our house and cornstarch is my (cost effective and everybody can eat) go-to.